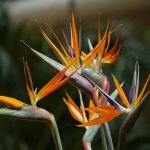 You are here: Home / The Joy of House Plants / Why Buy Flowering Houseplants? There are few things that really brighten up a person’s day more than flowers. Flowers are an almost universal symbol of grace and beauty. This is why a home with healthy flowers is one that feels vibrant and warm. Many people don’t know it, but there are many flowering houseplants that can bloom for all of if not the entire year. With the proper care you can have wonderful flowers surrounding your family for months. This will brighten any home in the midst of winter’s darkness. Most of us have felt some real depression when it is cold outside and the sun doesn’t want to show its smiling face. However, a big bright bloom can make up for a lot of cold and dreariness. I’m not sure why the color green tends to make a person feel so alive, but it does and it will in the midst of a cold winter. For the garden lover who needs to be outside in the warmth of the sun and amidst the green of a vibrant garden, a flowering houseplant is a great alternative. It also gives your home a unique look and a great conversation starter. Almost any plant lover will want to talk about the amazing plants in your home. They will be fascinated by the way that each plant is developing. You can speak with pride about the plants and the way in which you have cared for them. Another great reason to buy flowering houseplants is that they can help to remove excess moisture in the air. Putting a flowering houseplant in your bathroom will help to remove the moisture that tends to collect after a shower or bath. 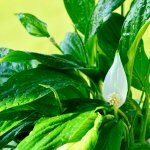 If there are other parts of your house that you tend to find are humid for one reason or another, a flowering houseplant can help you dry out the air. Flowering houseplants can also help to tie together an already well planned home decor. Every plant represents a particular style and aesthetic, just as every person’s home decor represents something about them. Large tropical flowers could work well with a home with bright colors and lots of variation. 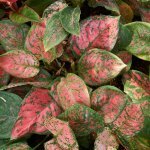 For those of us who prefer lighter colors and less bold decor, there are plenty of species of flowering houseplants that will provide more modest blooms. Another good reason to have flowering houseplants, and plants in general, in your home, is that they help to clean out the air. With all the environmental problems in the world, one of the biggest concerns is the depletion of rain forests throughout the world. This is partly a problem because rain forests provide much of the oxygen for our planet. Having plants in your home will generally purify the air, increasing the sense of health and vitality in the house. 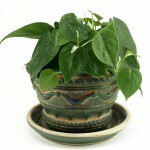 With fewer or no houseplants in the room you sit with the same stale air, which is generally not as healthy. These are just a few of many reasons for why you should buy flowering houseplants. People have different reasons for doing so, but these reasons are good enough for anyone. It does not require a tremendous amount of gardening skill to grow these beautiful plants. It will require a little patience and some hard work but it will bring a special warmth and beauty to your home for years to come. 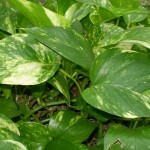 You might need to experiment with various styles of houseplant to discover what will work best for you and your family. Sometimes the plants will not function well in a low light environment, but many species are very resilient.